BNZ economists say the Reserve Bank will be forced into raising official interest rates "well in advance" of when it's currently forecasting, though they stop short of predicting exactly when the central bank might be forced to move. The BNZ economists also say they think that this week's GDP figures showing the economic growth rate for the December quarter will come out at about half of what the RBNZ is predicting, while March quarter inflation figures out next month are likely to be about double the rate the central bank expects. "We’ve got a sneaking feeling that the RBNZ may have a marketing headache ahead of it," BNZ's head of research Stephen Toplis says in the bank's weekly Markets Outlook publication. In its February Monetary Policy Statement, the RBNZ forecast a December quarterly growth figure of 1% for GDP, while it also forecast March quarter inflation of just 0.3% and an annual inflation rate of 1.5%, which is well shy of its explicitly targeted midpoint of 2% in the 1% to 3% target range for inflation. The central bank is not forecasting any rises in official interest rates till late 2019. In a speech earlier this month, RBNZ Governor Graeme Wheeler said there was an equal probability that the next official interest rate movement is either up or down. "Risks around future Official Cash Rate movements are equally weighted, reflecting balanced risks around inflation," Wheeler said. Toplis says the BNZ economists are convinced "contrary to the Bank’s recent comments, there is not equal risk that the next move in rates will be down as up". On the GDP figures out this week, Toplis says: "Try as we may we can’t produce a number anywhere near the 1.0% the RBNZ is projecting for the quarter. We, instead, are at 0.4%." He says to be fair to the RBNZ the economists have had the benefit of having seen the "partial indicators" that go into the GDP calculation whereas the RBNZ’s February MPS figure was put to bed before any of these were available. "So we are not criticising the [RBNZ's} forecast, per se, just noting that there is a very real chance that the published number may force the RBNZ into a rethink of sorts. "We should also note that the latest Bloomberg survey sees us the most pessimistic of 15 forecasters. But every forecaster produced an estimate less than 1.0%, and the 0.4% to 0.9% forecast range has a median of 0.7%. Toplis says the BNZ economists's "general level of pessimism" on the GDP figures comes from the fact that the agriculture, forestry and logging, manufacturing and local government administration sectors are all expected to provide a negative contribution to total growth. "Additionally, wholesale trade, owner occupied property and the education and training sectors are all predicted to record near zero change in activity. Cumulatively that means over a third of the economy will have recorded zero-or-less growth in the quarter. "We are quick to point out that this quarter seems to be a bit of an aberration and are already seeing signs that activity is picking up through Q1 in line with our 0.7% projection for that quarter." On inflation, Toplis said Monday's February Food Price Index (FPI) helped confirm "the second leg of the double". "It’s been a long time since we watched a monthly Food Price Index so closely but this one was critical in forming our Q1 CPI view. Prior to today’s release we were forecasting the March CPI to rise 0.8% yielding an annual reading of 2.0%. Since receiving the FPI we have revised this forecast higher to 0.9% and 2.1% respectively. "Our estimates are now miles away from the RBNZ’s expectations. The Bank is forecasting 0.3% for the quarter and 1.5% for the year. By our reckoning the food price movement alone would give you a 0.4% CPI reading even if the rest of the CPI was unchanged." Toplis says the RBNZ may choose to "look through" the higher-than-expected CPI "but, if headline inflation prints at 2.0% two years earlier than the Bank projects, inflation expectations are likely to head higher too". "Moreover, don’t forget that the [New Zealand dollar] is currently 3.5% below where the RBNZ had assumed. If it stays here then this would add further upward pressure to the CPI in time." Toplis says it is very clear that there is one-sided risk to inflation (upside) and one-sided risk to GDP (downside). "Not only will this be testing for the central bank but it will also be testing for markets. GDP comes out well before the CPI (due for release on April 20) and may provide the market with a short term dovish bias that won’t be supported when the inflation figures are released." Toplis says outside of the Consumer Price Index, house prices remain the BNZ economists' primary inflation concern. He says the latest REINZ data "leave us little the wiser as to the state of the housing market". "Pessimists will note that annual house price inflation continues to drift lower. REINZ’s Stratified Index rose 10.5% for the year, in February, down from 11.7% in January. Optimists will defer to the 2.7% monthly increase in sales prices. "We all know that recent LVR changes have had a significant impact on the investor market, particularly in Auckland. Equally, we all know that demand continues to exceed supply (particularly in Auckland again). "Consequently, we would expect any moderation in house price inflation to be limited. Today’s data may well be providing the first evidence of this..."
So in a nut shell, BNZ is forecasting stagflation. Purely on REINZ sales over the past 5 months alone , commissions have fallen 110 million y/y, 70 million in the 4Q Thats a negative drag on GDP. . My question for Auckland ' investors' , those being the ones that have driven the market higher on lower interest rates and interest only loans, a modest 2 percent rise in the OCR, (although it would not have an immediate effect on those souls ) has to be 'gotten back', somehow. On a modest 500k loan , would those renting cope with a 10K rise in rents. AUXIT - has it been coined yet? Independence from the Australian retail banking colonial yoke? Whats 230 billion in mortgage debt between friends, when its quality backed by special Kiwi homes. No, although could be, but I was thinking in relation to AUcklanders being faced with those kind of rent hikes. Misunderstood the Au. 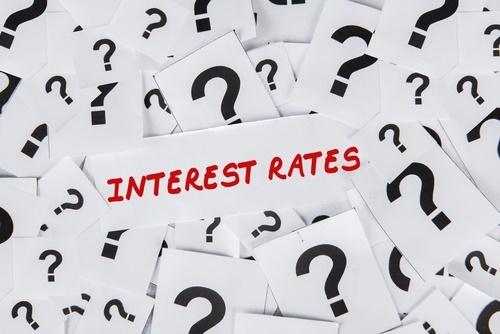 Of course prior to rents rising, the rising interest rates will put further pressure on prices. Maybe time to buy Au in NZD, and some gold leaf for the popcorn. Oh, I see. Like a hollowing out of the Auckland population base moving to the provinces with their newfound riches. Would be good if it increased consumer spending. No, it would be the renters (not the owners) moving in a wholesale manner. I don't think so, kiwis are housing obsessed, they will just batten down the hatches and reduce spending elsewhere if interest rates rise. A few people will get burned but the show will go onwards and upwards. They were share-obsessed in 1986/87. Obsession can't hold back reality forever. I wonder how many people are betting everything on the housing market and going all in? It took years for NZ to recover from the stock market crash, yet every other country went back to business as usual a month later. I've often wondered why NZ was so disproportionately traumatised by 1987, but completely failed to learn the lessons of diversification, and not getting stupid and reckless in a bubble. Those that were overleveraged lost their house. Plenty of people found themselves holding massively devalued shares with investment in only a few companies or just one company. I know a number of people that had poured their money into multi-storey construction in Wellington. Some buildings were sold for a fraction of their cost and there was a lot of empty office space in the early 2000's. The whole country went mad. People seem to have forgotten or want to ignore what happened. People get hung up on commodities and markets, and rationalising to themselves why bronze blades/comic books/bulbs/South Sea Shares/Florida real estate/Auckland houses will keep going up and up forever in a magical moneysplosion, but miss the part where we're a species of social primate obsessed with dominance hierarchies, status, and conformity. Overbuilding is the kiss of death to commercial real estate, I'm told there are still half empty tower blocks in Palmerston North dating back to the eighties commercial property mania. Is it about time for a re-run or do we need another decade? Disproportionate ... compared to other countries ? The level of trust that New Zealanders place in institutions and men in sharp suits selling them things is higher than is warranted by our legislation or track record. Surely with the high rises in rents over the past year the CPI will be pushing even higher?